themselves to the eCommerce giant. It’s hard not to—Amazon goes above and beyond in every category, and they take 45% of the market share as a result. Their sheer volume and revenue is enviable. Some sellers get discouraged by the stiff competition, but there are lessons to be learned from operating in the same space. Looking at Amazon is a good way to set standards for your own store. It’s also the key to learning how your store can compete. 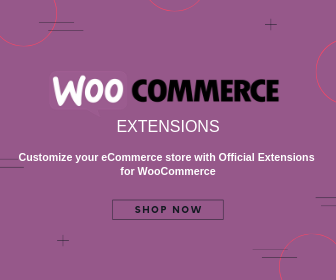 By making small changes to your WooCommerce store, it can be on par with Amazon in small but effective ways. 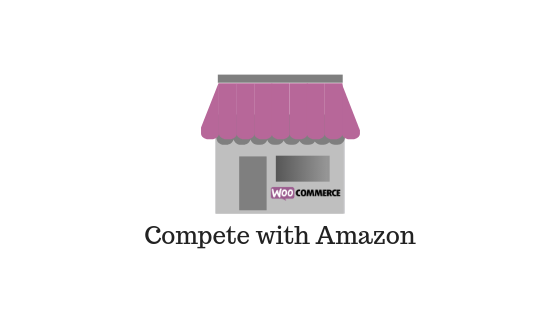 Consider this your how-to guide on making your WooCommerce store compete with Amazon. While Amazon has the size and the budget to carry virtually every item a shopper may need or want, your store can focus on a collection of key items. It’s easy to get caught up in selling a little bit of everything, but soon your store will be stretched too thin. Or, you’ll end up with a full inventory of products that are no longer on trend like they were two weeks ago. Instead, by occupying a niche and building out a site with the best keywords for your products and categories, your site will rank higher on Google searches. 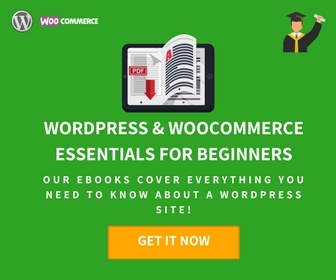 Your WooCommerce store can be an authority in that specific area, which will lead to more traffic—and, with retargeting, more sales. By choosing one area of focus, you not only improve your bottom line, but you do so while expending less energy. Here is an article to help you understand the process of identifying target audience. When shopping online, consumers sacrifice the try-before-you-buy experience that they get at a brick and mortar location. But by providing an abundance of information (like Amazon does) about each product on your site, you can give shoppers a better sense of what they’re looking at. Studies show that 22% of customers return products that look different than what they were expecting, so by being extra thorough, you can also decrease your returns. Start with well-lit photos from multiple angles and with a point of reference for size, and show the product in multiple situations. For clothes, you should show different body types. Other products might warrant including a video, too. The more information you give, the greater the chance your customers keep their orders. And, customers will quickly learn that you are reliable as a seller for sending them a product that is exactly how they perceived it to be online. This article should help you in creating awesome product information. Cross-selling is an area where your store can really shine. 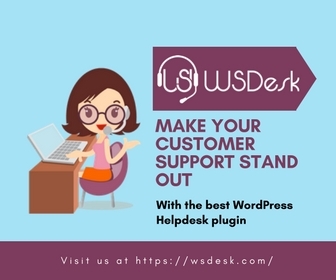 Depending on the platform that you used to set up your website, adding cross-selling might require an extra plugin or add-on, but it is well worth it. After all, cross-sales are the easiest way to entice shoppers to add more items into their carts. That means larger orders and more impactful sales. A customer who feels special is a happy customer, and a happy customer will make more purchases from the store that made them feel special. Easily use cross-selling to appeal to shoppers and you’ll generate stronger sales as a result. 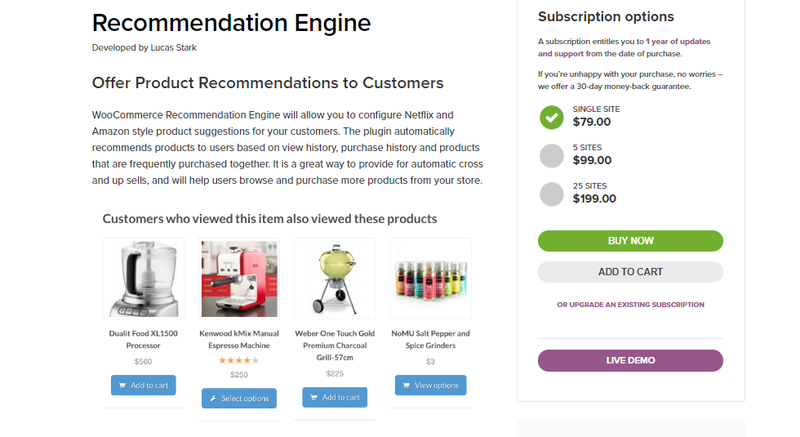 Check Recommendation Engine WooCommerce extension for targeted cross selling. Find some tips for cross selling here. Shipping is getting faster seemingly every day, with two days being the standard and same-day or within-hours shipping being offered by select retailers. If you’re not already adhering to fast shipping policies, now is the time to start. Now is also the time to make it free. By offering fast and free shipping, your store will attract the 80% of customers who choose where to shop based on speed and shipping cost, according to research from BigCommerce. Around 49% of e-tailers offer free shipping, but the most famous is Amazon’s free two-day shipping for Prime subscribers. The service is over 100 million strong, with free shipping still applying on guest checkouts of $25 or more. These methods work even better when you can secure discounts on shipping costs with a shipping software. Customers will come to your store when they see the savings they can’t get at 51% of retailers. UPS reports over 80% of consumers desire hassle-free returns, and that same amount will leave your site altogether if your returns policy is convoluted. Instead, you can inspire loyalty and provide customers a risk-free experience by implementing a returns policy that gives them the confidence to buy from your store. Start with the returns policy itself and ensure that customers have to complete as few steps as possible. Then, be sure to display the policy clearly on your site. Shoppers will see the ease and convenience and be more likely to buy from your store. When retailers take the hassle out of online returns, there’s a 40% increase in second-chance sales opportunities. 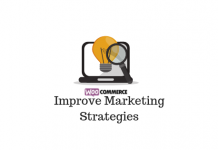 You will find some actionable insights regarding WooCommerce returns here. 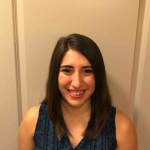 Out of all our suggestions, this one is the most important because a happy customer is a loyal customer, and loyal customers are the backbone of Amazon. They can be the backbone of your store as well with a few simple tweaks. You already read about product recommendation personalization, but have you applied the same idea to your outbound marketing strategy? The open rate for emails with a personalized message is more than 30% higher than those without any personalization, explains findings from Statista. To go above and beyond, use a WooCommerce CRM, or Customer Relationship Management, solution for your store to keep track of your customers’ data and history so you can better sell to them based on what you already know they want. By integrating these methods into your game plan, you can improve the customer experience, increase conversion value and attract new customers simultaneously. And that’s a tune all online retailers can hum to.